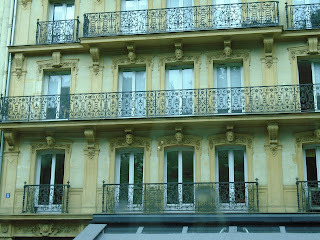 Our stay in Paris began with a bus tour of the city. Our guide, Madeleine, explained to us that Paris is a very sensual city, in that Parisians like to enjoy the finer things of life through the senses. 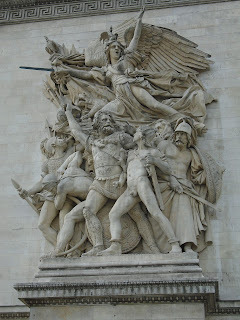 That is why almost everywhere you look in Paris, you find beauty and extravagance. 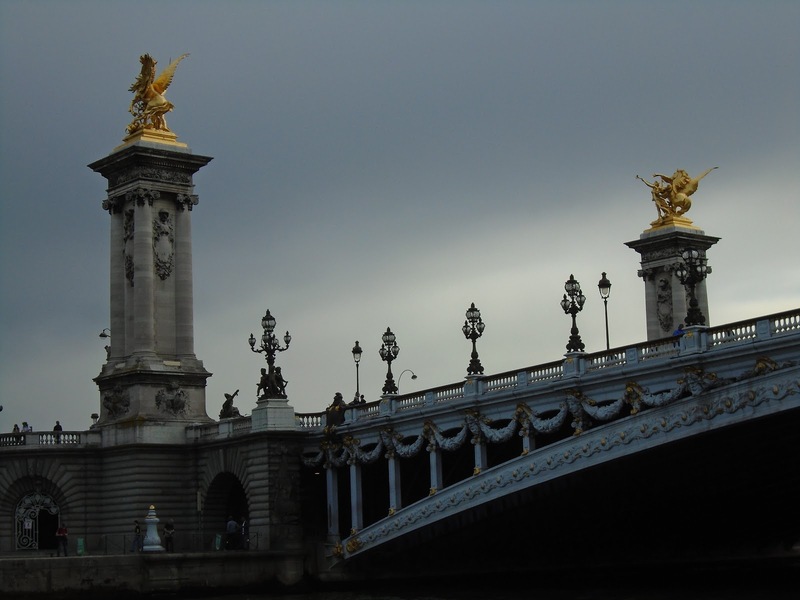 From the statues and fountains, to the soaring cathedrals and churches, right down to the lamp posts and bridges, almost every surface of Paris is the result of artistry and craftsmanship way beyond the norm. 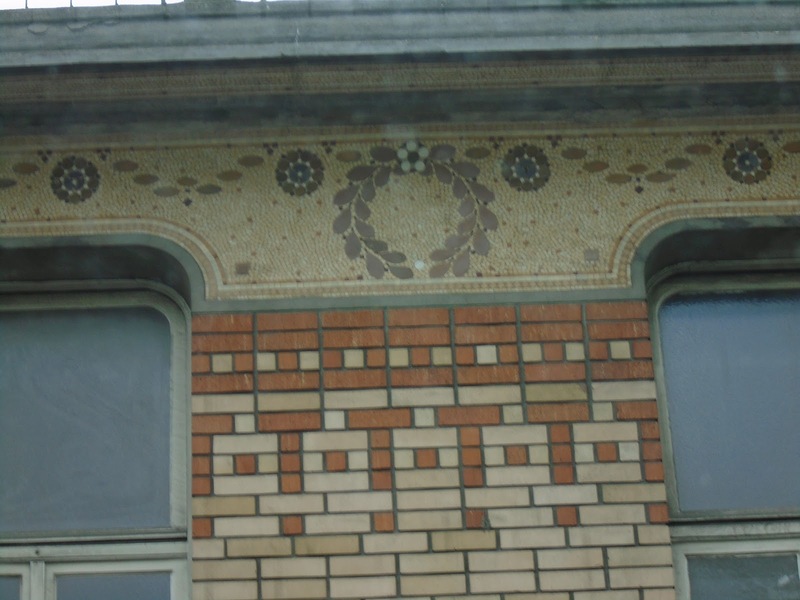 There are very few things that are purely functional in Paris - almost everything is a work of art to be appreciated and admired. 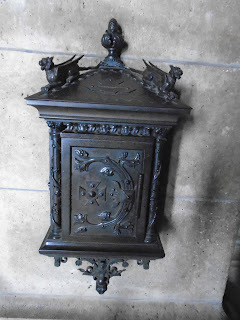 This highly carved container was affixed to the stone wall near the entrance of Sacre Coeur Basilica. I'm unsure of what it was meant to hold. 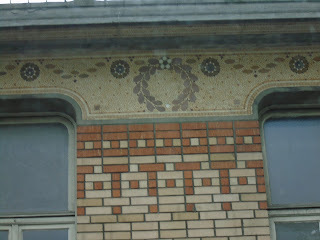 Fancy brickwork on a building. 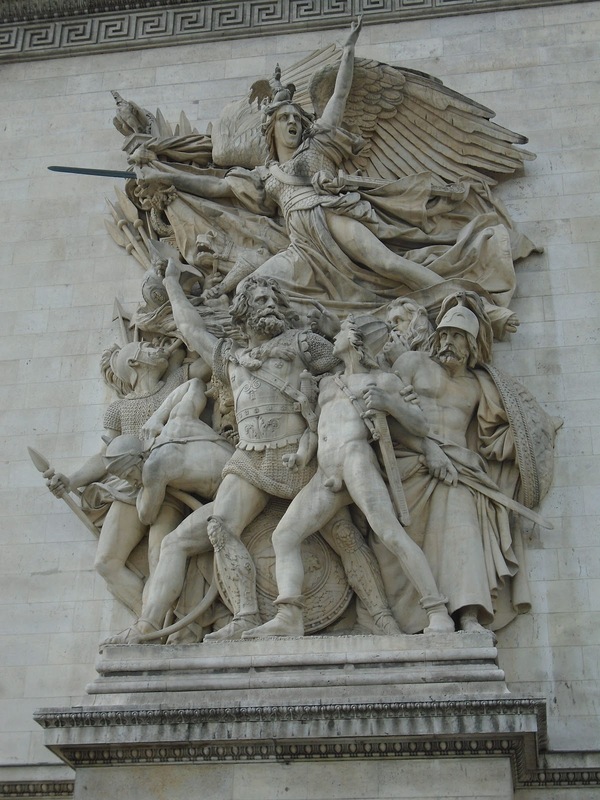 I snapped this picture from the bus as we were leaving Paris. 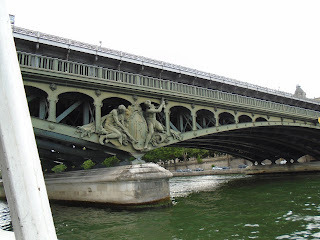 The base of a bridge we passed under while on a boat tour of the Seine. 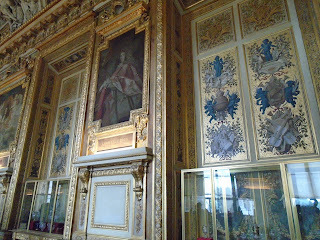 A room that was once used by royalty in the Louvre Palace/Museum. 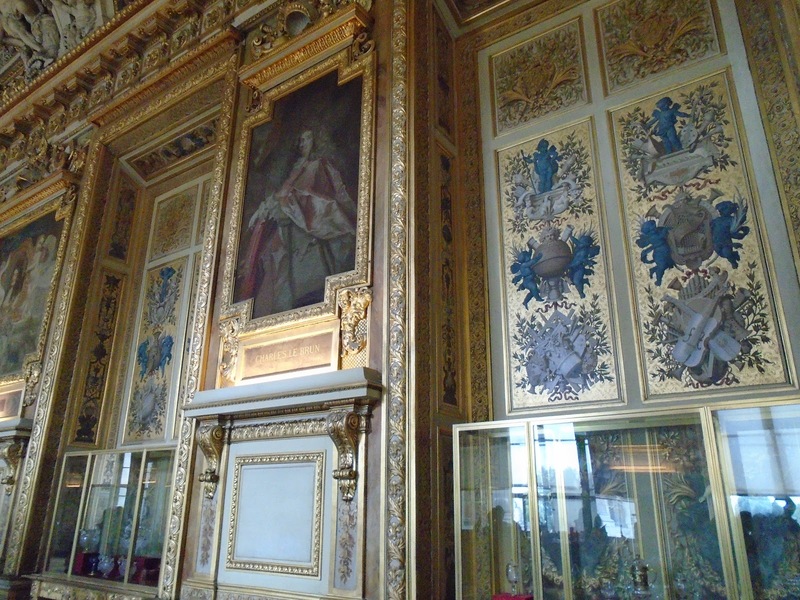 This room is about 50 yards long (I'm guessing) and every square inch including the ceiling is this highly decorated. 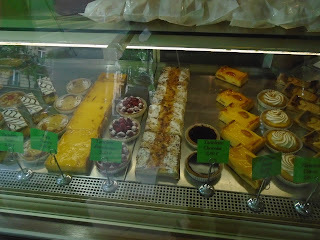 Pastries and quiches in a patisserie where we stopped for lunch one day. They are as delicious as they look! 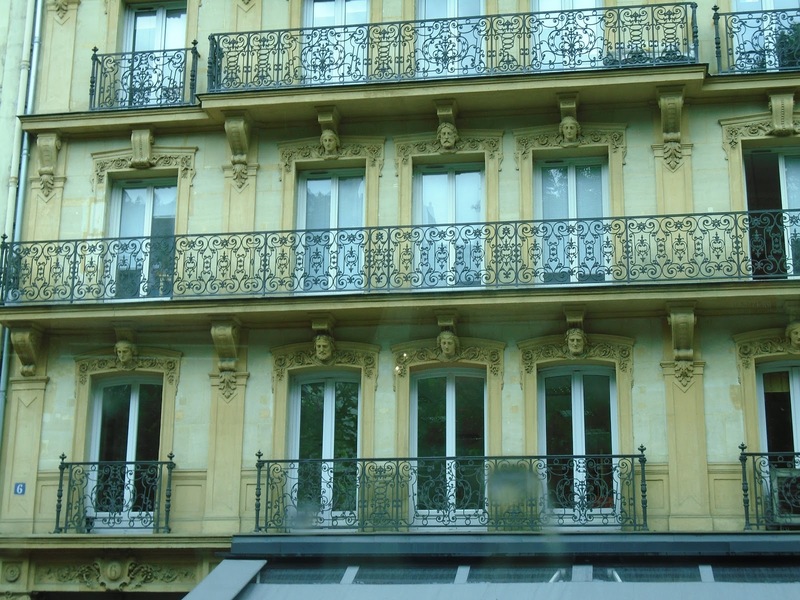 Intricate wrought iron railings on the balconies, and notice the carved faces above the windows. Each one is different. 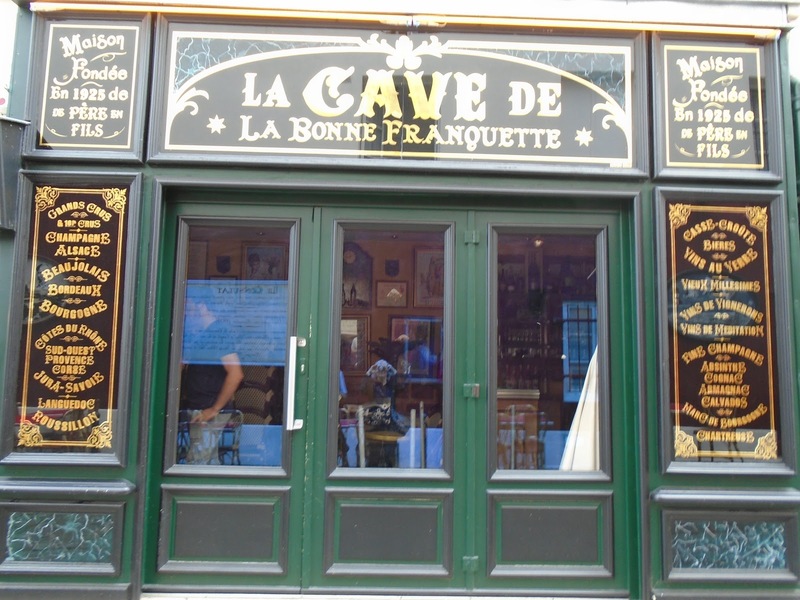 A shop or café in the Monmarte neighborhood behind Sacre Coeur Basilica. 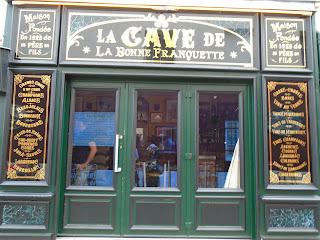 If you read French maybe you can tell me what kind of place this is. We did not have time to go in. One of the most decorative of the many bridges over the Seine. Since Paris is a city for the senses, I cannot do it just by writing and talking about it. It must be seen, felt, heard, and tasted to be appreciated. 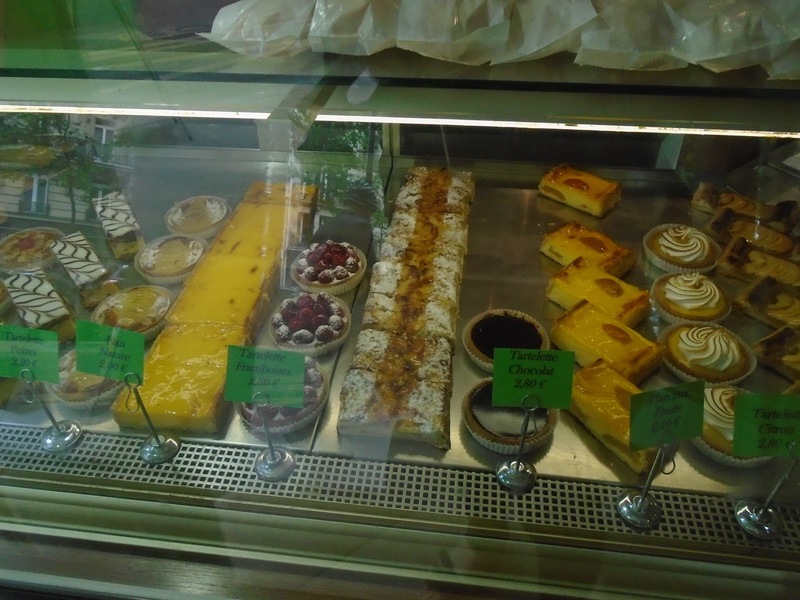 If you ever get a chance to go to Paris, by all means do so. Just beware of the pickpockets and scam artists who abound.